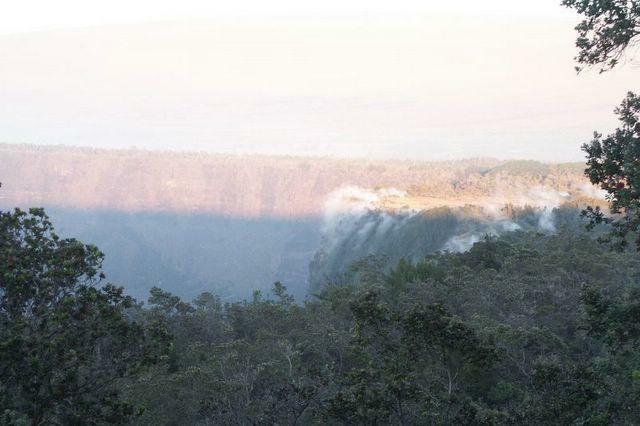 Kilauea Caldera -- This is a look at the Kilauea Caldera from our room. A caldera is a basin-shaped volcanic depression; by definition, at least a mile in diameter. Such large depressions are typically formed by volcanoes. The Halemaumau Crater is on the right where the steam vents are.